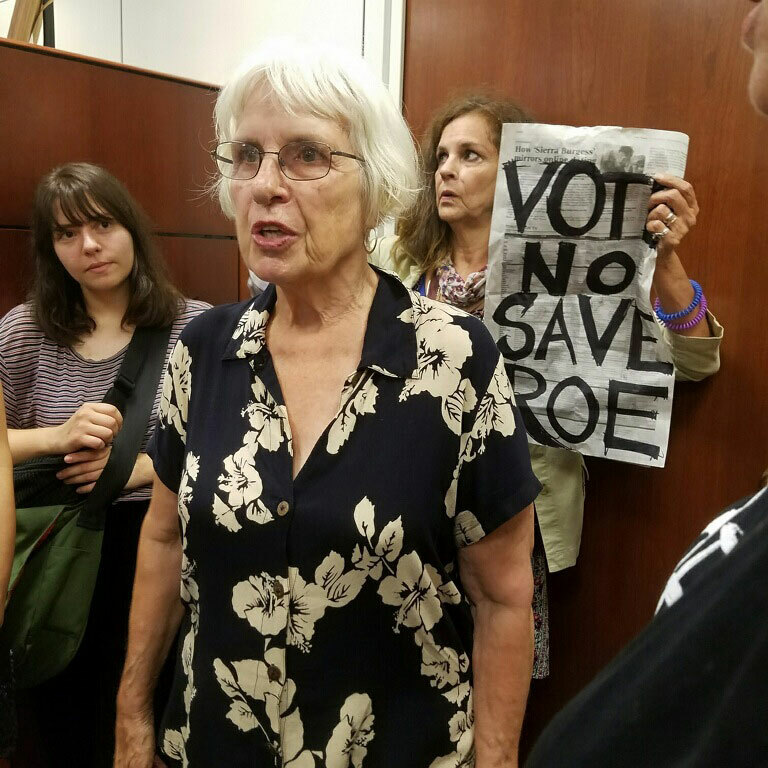 Last week, several RAD members joined national partner organizations (like the Women’s March, Be a Hero, Center for Popular Democracy, and more) and traveled to DC to disrupt the Senate Judiciary Committee’s Hearings on Brett Kavanaugh’s nomination to the Supreme Court. 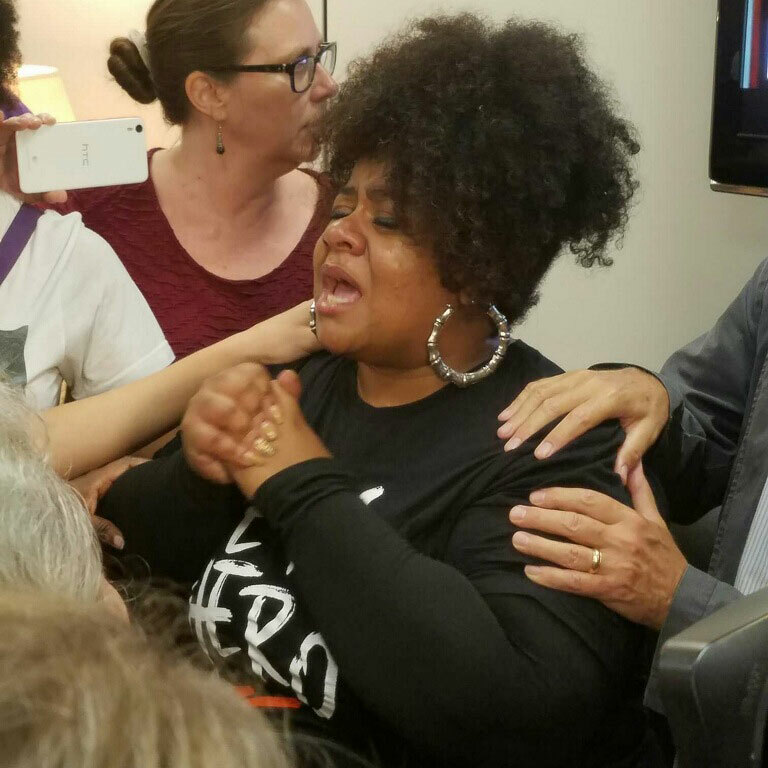 Attending and disrupting Senate Judiciary Committee hearings (standing up, vocalizing our dissent, being arrested, and forcibly removed). Occupying Sen. Chuck Grassley’s office and sharing personal stories about what’s at stake with this Supreme Court appointment: the Affordable Care Act and access to healthcare, Women’s reproductive rights and autonomy, migrant rights, marriage rights, tribal sovereignty, workplace rights, environmental regulations, and critical checks on executive impunity [In short, people’s rights and lives are at stake for decades to come, if this appointment is successfully rushed through]. 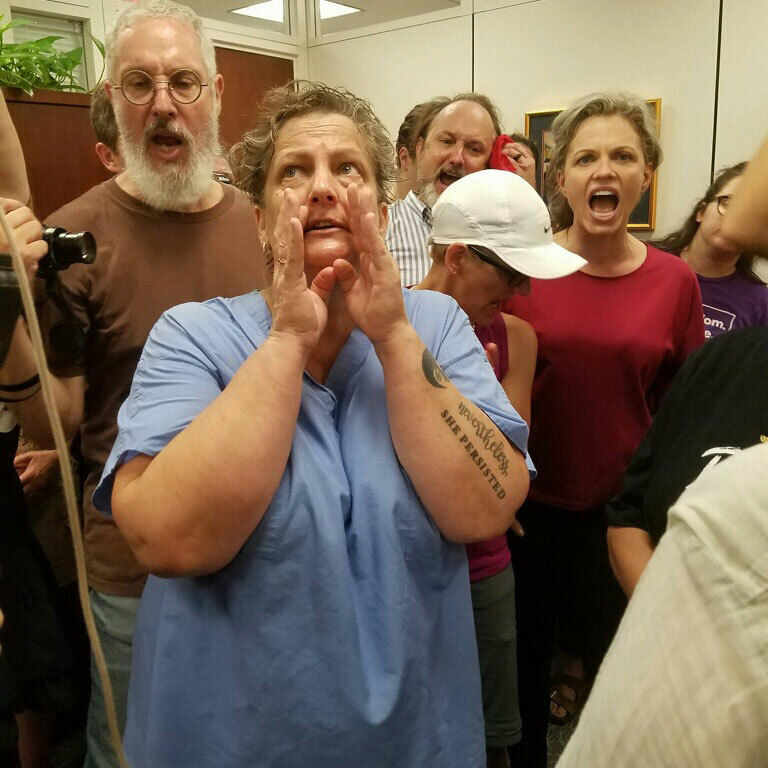 Getting arrested at other demonstrations within the Hart Senate Building, including mourning the “death of democracy” and other civil disobedience actions outside the hearing room and near Senator Grassley’s office. Delivering flowers and thanking key Senators: Kamala Harris (for being a hero in her opposition and aggressive questioning of Kavanaugh), and Susan Collins and Lisa Markowski (for their willingness to hear us out while considering their votes). 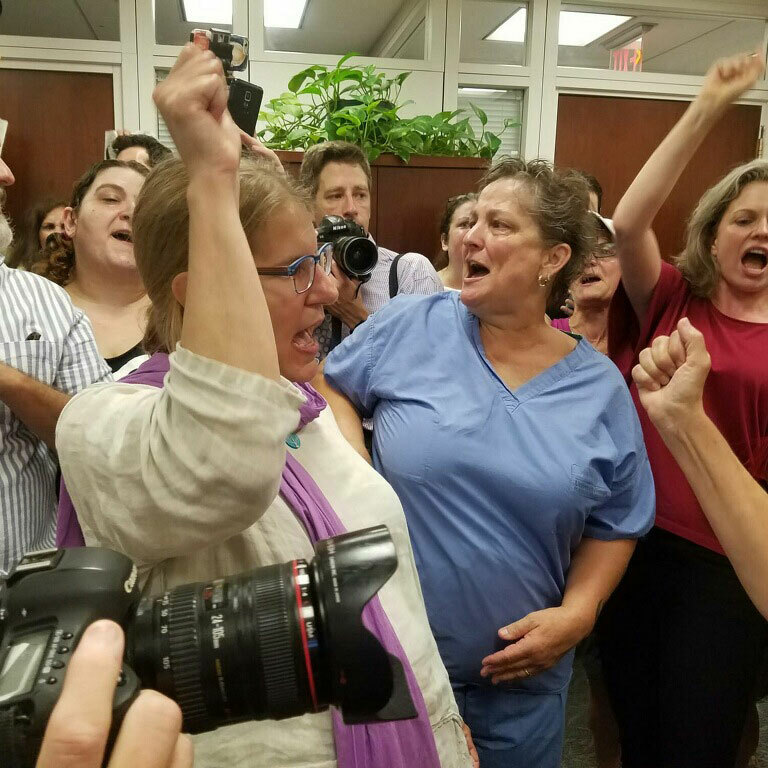 “All last summer, we fought to protect the Affordable Care Act, and we won,” Lampron said. “People are afraid. People are really afraid of if he [Kavanaugh] gets in there, are we going to lose our health insurance? Are we going to lose choice for our own bodies?” (full article here). If you are able and willing to travel to the Capitol to participate in rallies, protests, and/or Civil Disobedience THIS WEEK, you can sign up here. Sign (& share) our petition supporting Senator Leahy’s efforts to fight back against this rushed appointment. 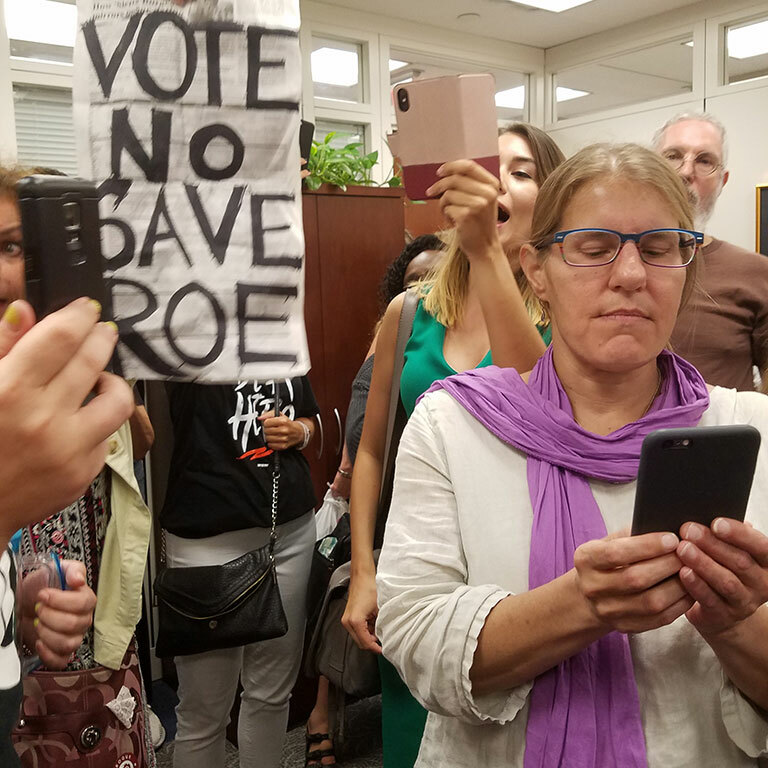 Donate $20.20 to Ady Barkan’s Be a Hero PAC and send Senator Susan Collins of Maine the message–vote no on Kavanaugh, or you will be voted out in 2020. This effort has raised over $1 million in the past week, causing republican outcry and accusations of bribery. This means it is working! 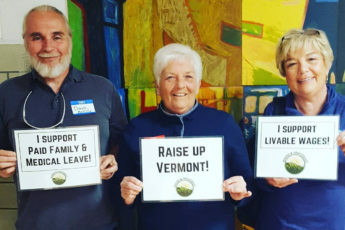 Organized grassroots efforts like this are the best way for individual citizens to have their voices heard, we will not be drowned out by the corporations or wealthy few who can easily buy influence. Sign up to phonebank with Be a Hero. Sign up to textbank with #VoteProChoice (email me and I’ll help you get signed up). Check out WhipTheVote.org and make sure our Senators know that we want them to vote against Kavanaugh. Find Senators who are on the fence or are voting yes and see if you have friends in those states and get them to call! The Senate Judiciary Committee vote will be delayed so that these allegations may be properly aired and investigated, and with that delay means there will likely be more actions in Washington, DC next week. If you are interested in participating, just email me and I’ll follow up with you directly about details. Have other thoughts or questions about how to join this critical national fight for the future of the Supreme Court and the rights of generations to come? Just email me at katherine@radvt.org.